Two operatives of Nigerian Police Force were on Wednesday killed by unknown gunmen who abducted American and Canadian nationals in Kaduna. 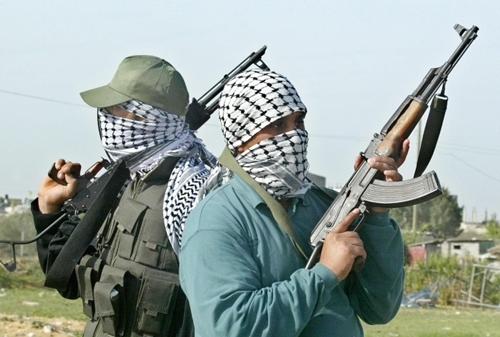 A gang of suspected kidnappers have killed two policemen and abducted two foreign nationals on Kwoi-Jere road in Kagarko Local Government Area of Kaduna State. The victims had visited Kafanchan and Kaura but were ambushed on their way back around 7:00 PM on Tuesday. A police source said the two policemen were escorting the foreign nationals when they were ambushed. “Two policemen were killed in the ambush while an American and a Canadian were abducted along Kwoi-Jere road, off Kaduna-Abuja highway. “It’s a sad development but I am sure the Police would get to the root of the matter,’’ the source added. Spokesman of Kaduna State Police Command, Muktar Aliyu did not respond to inquiries on the incident while efforts to get the Commissioner of Police, Mr Agyole Abeh was unsuccessful.